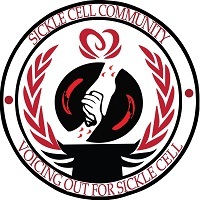 A non-governmental organisation, Sickle Cell Community (SCC) has distributed drugs worth thousands of Naira to persons living with Sickle Cell Anaemia in Kura Local Government Area of Kano state. SCC which comprises people living with sickle cell, distributed the drugs during a sensitization and awareness campaign visit to the local government area. The SCC President, Asma’u Ahmad Rufa’i made a presentation on sickle cell anaemia complications and management. She outlined regular water intake, avoiding stress and harsh weather conditions as some of the keys of managing the ailment complications. Asma’u Rufa’i also called on people of Kura Local Government to take care of persons living with sickle cell and watch out for minor symptoms in order to trace the disease early and treat it before it is complicated. In his remark, SCC Secretary, Abdullahi Ibrahim gave a brief presentation on the group’s objectives how it intends to reach out to other persons living with sickle cell. The District Head of Kura, Alhaji Bello Ado Bayero expressed his appreciation for the visit and urged his people to give them all the support it needed. Represented by a member of his council, Alhaji Mukaddas Muhammad, the district head urged SCC not to relent on their effort to provide succour to the sickle cell patients. In his closing remark, the Advocacy Officer, Nura Abdullahi called on husbands to support their wives in taking care of the patients. Earlier, Balaraba Adamu Aliyu a member of the SCC urged people to do away with myths and misconceptions about the disease and advised them to visit hospitals for proper medical attention.